Looking for great WooCommerce Birthday Coupons? WooCommerce Birthday Coupons lets you automatically send your customers a coupon on their birthday, every year. What a great way to increase your sales! you can collect your customer’s birth month and birth day on the checkout page, or let them enter it on their My Account page. The customer can choose whether or not they want to provide that information – it’s always optional. If they opt to provide a birth date then that information is stored in their user account profile – and the information can only be changed by an administrator. This prevents customers from gaming your site to get coupon codes. The plugin checks every day to see whose birthday it is today and sends them a coupon automatically. Recipients can easily opt out of receiving further coupons by simply checking a box in their profile on their My Account page. And, customers can view any existing valid birthday coupons on their My Account page. As administrator you can optionally receive a summary of all coupons sent on a given day. And, you configure the coupon any way you like based on existing coupon configuration settings available in WooCommerce, optionally add an expiration date, and optionally limit the coupon to only be used by the customer it is sent to. The plugin also adds the birthday information to the user editor in the WordPress admin area so you can easily change someone’s birthday by editing their account. This feature is useful if someone contacts you saying that they made a mistake entering their birthday. The plugin comes with fully customizable templates so you can entirely control the look and feel of the checkout page form and My Account page forms and fields, and alter the contents of the email sent to customers on their birthday. 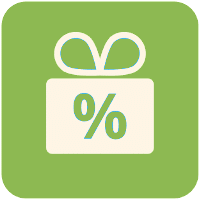 You may want to also look at our WooCommerce Super Coupons extension, it’s a great accompaniment for birthday coupons! Questions? Contact us for clear answers. Updated to work on the checkout page when guest checkout is on and the user is not logged in.